Hello! Today I would love to show you my Rainbow Mini Swap handmades that I mailed out this week. They are going via air mail to a country far far away and although I am sad to see them go I hope they will bring their new owner much joy. Rainbow Hexagon Mini designed, English Paper Pieced by hand, machine appliqued and machine quilted by Anita LaHay of Daydreams of Quilts. A closer look. I machine quilted the mini in my Juki with a feathers motif. I saved all the tiny off cuts from my hexagons and made a rag rug style mug rug. A Rainbow coloured zipper pouch for another swap package extra. I had one last glorious rainbow zipper which I sewed into a zipper pouch for my swap partner. I am now on the hunt for more rainbow zippers. I got these a Fabricland a few years ago but I don’t know if they still stock them. This zipper got lots of positive comments on Instagram! The Rainbow mini in indoor light. Here is one last look at the mini. I am so pleased with how it turned out. I will definitely need to make one for myself now. I am linking this project up with The 2015 Finish Along. This was number 8 on my Q1 Goals List. What a great mini! I really like the curves of the quilting against the angles of the hexagons. The technique you used for the mug rug is something I would love to try. It sounds like a great way to use all those little pieces! I love your mini so much! There's been lots of great rainbow ones popping up in my feed making me wish I joined that swap! I'd have loved to receive yours!! I'd try Zipit on Etsy for more of those zippers. I think I saw they had rainbow teeth zippers last time I was there. I've ordered from them in the past and received great service. Good luck and love the swap goodies! Thank you Monique! I never thought to look on Etsy! Silly me! I will take a look! Your projects are beautiful. Love the rainbow teeth zipper. Thanks for the Zipit info. They do have them! Good heavens!! (looks at her Wips with shame) Everything you do is just incredible!! These are just wonderful!! X! I adore my rainbow zippered pouch that I won from you ages ago, I also looked for them and found some on Etsy for like $12 a piece, I was like WOAHIE! 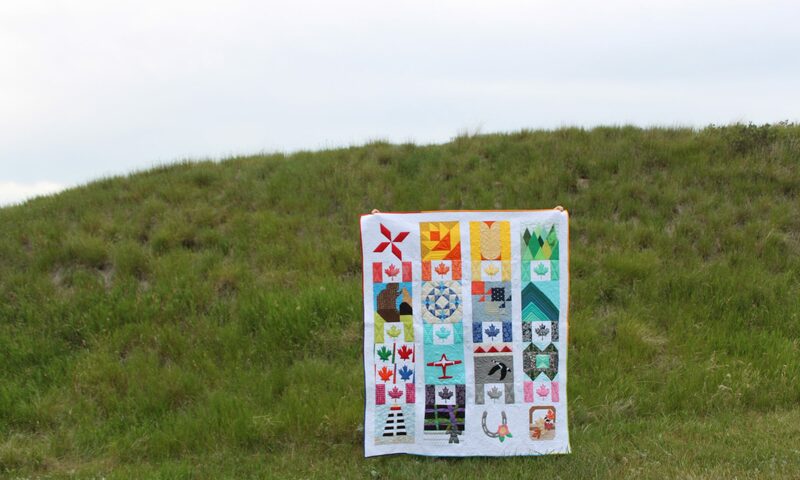 So pretty – and the quilting is stunning!